ISLAMABAD: Minister of State for Interior Shehryar Khan Afridi said on Thursday that the government’s actions against banned organisations had nothing to do with an action plan Pakistan had agreed with the Financial Action Task Force (FATF) to curb financing of terrorism in the country, rather they were taken to save the country’s future generation from the negative impact created by such outfits. “The action taken against proscribed organisations is our own decision adopted under the National Action Plan (NAP) that was signed by all political forces in 2014. Our message is loud and clear: no one would be allowed to challenge the writ of the state. No one would be allowed to use our land against any country,” he said while briefing a group of diplomats on the government’s action against banned organisations. The minister made it clear that measures needed to be taken to implement the action plan Pakistan had agreed with the FATF were responsibility of the country. 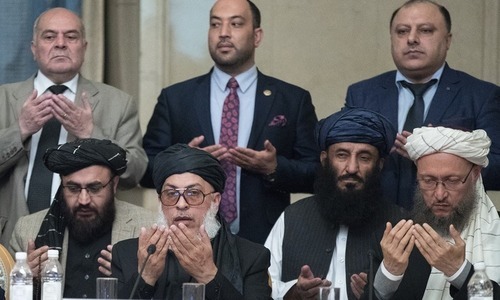 He said committees had been formed at ministerial and secretarial levels to launch massive crackdown against banned organisations, adding that religious leaders were also being taken into confidence in this regard. “The crackdown against banned organisations has been exemplary. There will be no compromise on national security,” he declared. He said the federal and provincial governments had launched unprecedented crackdowns against banned organisations and all political stakeholders had been taken into confidence over the issue. 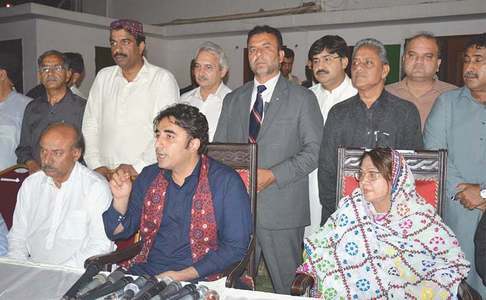 He said that all stakeholders, including the opposition and religious parties, had been taken on board for the crackdown against banned organisations. “The crackdown against TLP (Tehreek-i-Labbaik Pakistan) is a classic example of the state’s resolve against extremism which was even applauded by opposition parties and the world community,” he remarked. Referring to the action against non-state actors, Mr Afridi said that the government’s handling of the protests against the Asia Bibi verdict had sent a message loud and clear to all that no one would now be able to dictate his terms to the government. He said that no nation could afford to live in isolation in the global village. An individual act should not be associated with a country, people or a religion. He said Pakistan had fought a war against terrorism to save the world, but no one ever bothered to understand why a country which was progressive in the 1960s was now being portrayed negatively. The minister said that Pakistan was undergoing a process to ensure supremacy of the rule of law, adding that even Prime Minister Imran Khan had announced that he was accountable before the law. “For the very first time in our history, all institutions and entire Pakistan are on the same page and we are taking decisions as a team. No one can dictate his/her terms on Pakistan anymore,” he added. He said the prime minister had recently met with leading religious scholars belonging to all schools of thought, including members of the Wifaq-ul-Madaris, Wifaq Ittehad Tanzeem and Islamic Ideology Council. They all assured PM Khan that they would stand by decisions being taken by the federal government at all levels. The minister urged the diplomatic community to play a role in portraying the true image of Pakistan. “We are taking action against human trafficking, money laundering and drug trafficking. For the purpose, we are fencing our borders and all exit and entry points are being monitored and patrolling is being made in professional manner. We are also monitoring banking channels, besides launching action against Hawala and Hundi. We have choked currency movements from all airports and officials of Customs, FIA, Anti-Narcotics Force and Airport Security Force are taking strict measures to block illegal currency and drug flight,” he said. The minister said that the government was also ensuring provision of equal rights to people from religious minorities and the action taken on alleged abduction of two sisters of a Hindu family was an example in this regard. “Let me assure you that whosoever is found involved in the incident will be made an example,” he added. Referring to the new visa regime launched by the federal government recently, the minister said that Pakistan had been opened for investors, tourists and adventurists as the country was blessed with rich tourist resorts. “We want to convey to the world that through sacrifices that our army and our people have made in the war against terrorism we have now made Pakistan one of the most peaceful countries. Now the doors of my country are open for the world,” he added. The minister said that under the new policy, people from 50 countries would be given visa on arrival facility while nationals of 175 countries could get online visa. “Moreover, business visa is available for people from 66 to 98 countries. As far as NOCs are concerned, the same would also be provided and everything will be crystal clear within next two weeks,” he added. Mr Afridi said that Pakistan also had reduced visa fees despite financial crisis as the country was a resilient nation and it could brave all challenges. He claimed that because of Pakistan’s positive steps the world now was acknowledging its role for regional peace and development. 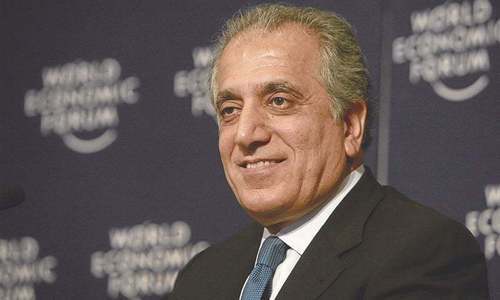 Referring to Pakistan’s support for Afghan peace process, the minister said US President Donald Trump had appreciated Pakistan’s role in bridging gap between the Afghan Taliban and the US.